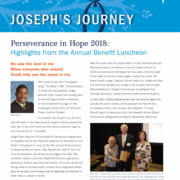 The following article appears in the fall 2018 issue of the Joseph’s Journey newsletter. 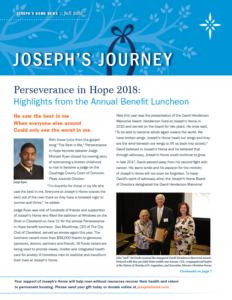 Read the complete newsletter for additional news, upcoming events, stories of how Joseph’s Home carries out its mission, and more. Sleeping in a cardboard box isn’t normally high on the list of how a teenager would like to spend a weekend night. But for a group of 25 teenagers from the St. John Neumann parish in Strongsville, cardboard boxes and the church lawn were home for one chilly night in April. 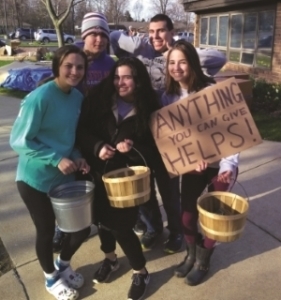 The group was participating in the annual cardboard campout event, which is a 20-year tradition that offers members of the parish youth group the opportunity to raise money for a worthy cause and gain a deeper understanding of the importance of giving prayers, time and treasure to those in need. 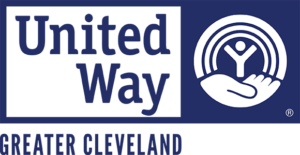 This was the first year Joseph’s Home and St. John Neumann connected for the event, which was facilitated by Trena Marks Pacetti, social concerns director at the parish. The youth group did some volunteer work at Joseph’s Home and decided it was a perfect fit for the cardboard campout. “We all fell in love with Joseph’s Home and its mission,” said Paul Koopman, St. John Neumann youth director. During the event, the teenagers, who ranged in age from freshmen to seniors in high school, wrote letters to residents, prayed and ate soup together. They also heard about Joseph’s Home from Executive Director Christine Horne and learned about being homeless from Mike, former peer recovery supporter at Joseph’s Home. Mike spoke about what led him to being homeless, going through recovery and working at Joseph’s Home. “Mike was struck by the maturity of the teens and their thoughtful questions. One question was, ‘How did you find God when you were homeless?’ The youth were very engaged and willing to put aside any preconceived notions about homeless people,” said Christine. The group raised $2,000 for Joseph’s Home by collecting money at the masses that weekend. Paul said the event was a big success. “Participants felt a connection to those in need, developing love and respect for them. We look forward to continuing to partner with Joseph’s Home for this annual event,” added Paul.